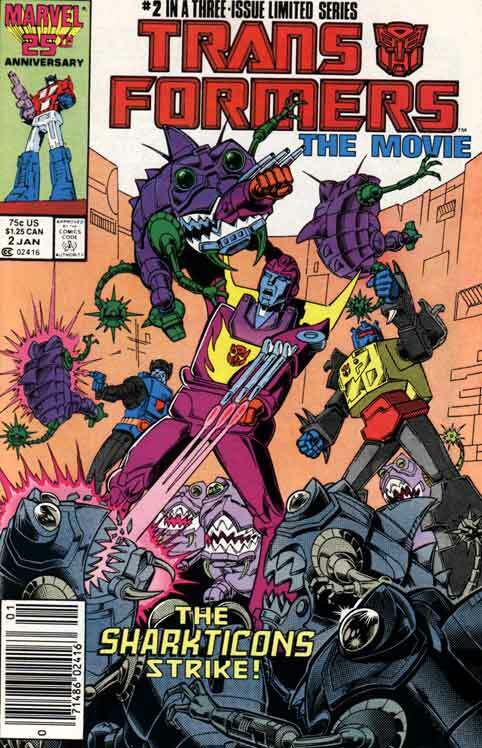 The comic adaptation was a three issue limited series, with the publication date of December 1986 for issue #1. 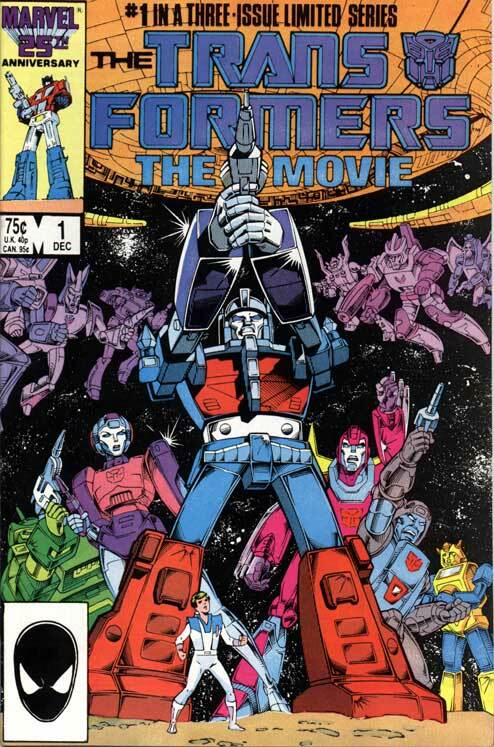 It was adapted by Ralph Macchio (NOT the guy from Karate Kid), with Bob Budiansky as editor. 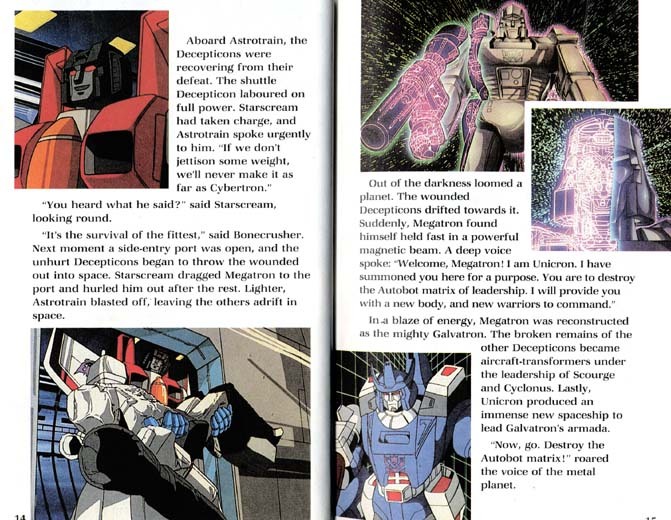 In issue #1, Lithone is consumed with digestive pink mist rather than being eaten whole. 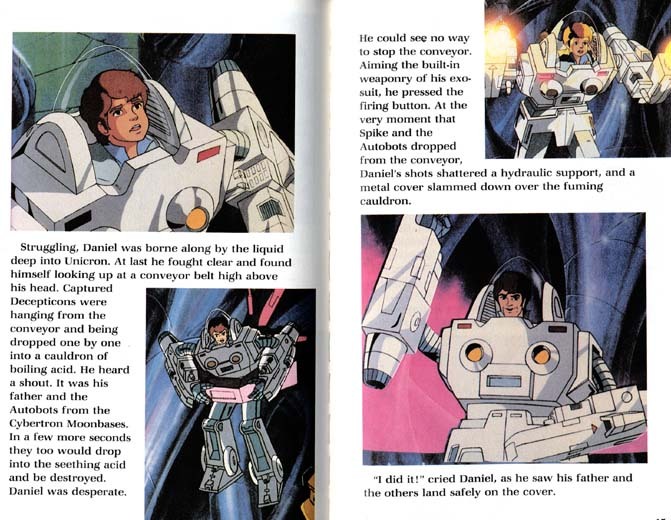 Kranix survives by transforming into a space vehicle rather than boarding a shuttle. 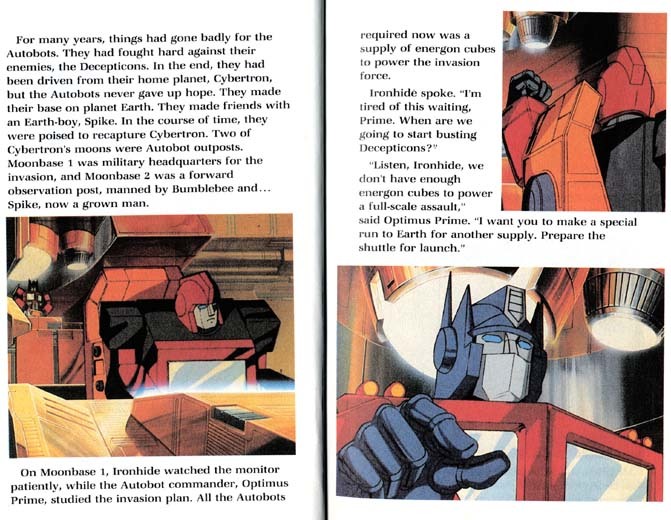 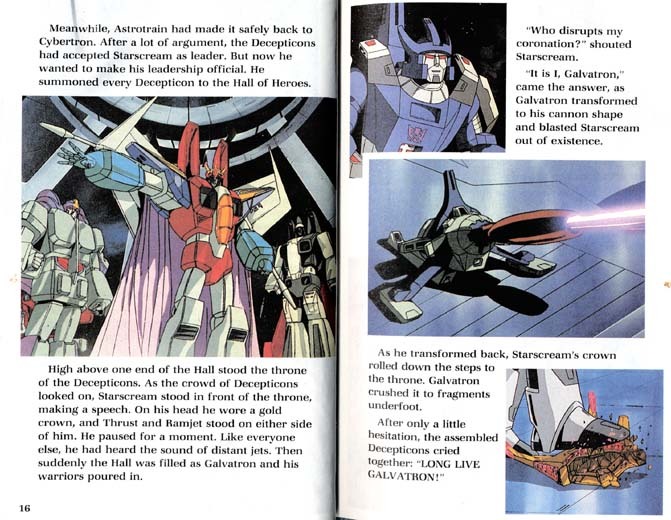 Autobot City is mistakenly called "Fortress Maximus" when turned into defensive mode. 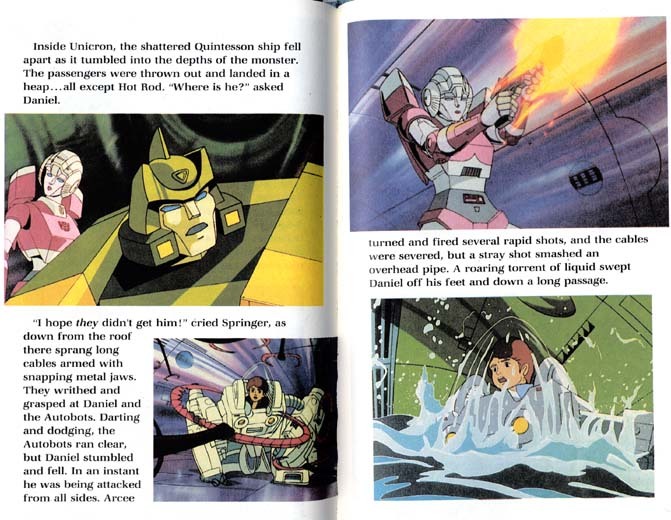 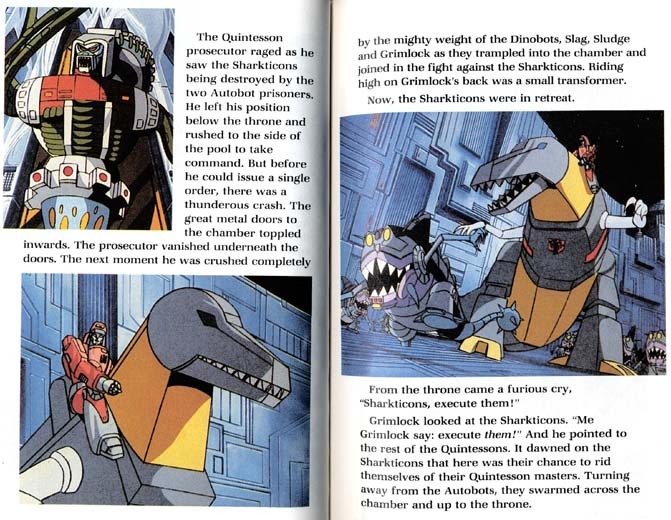 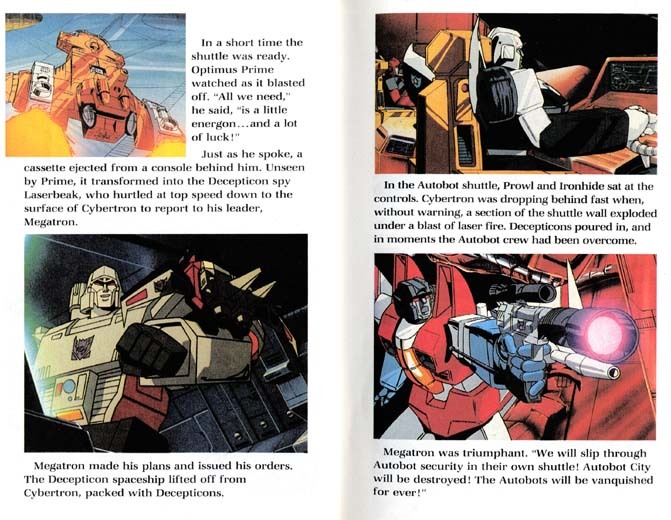 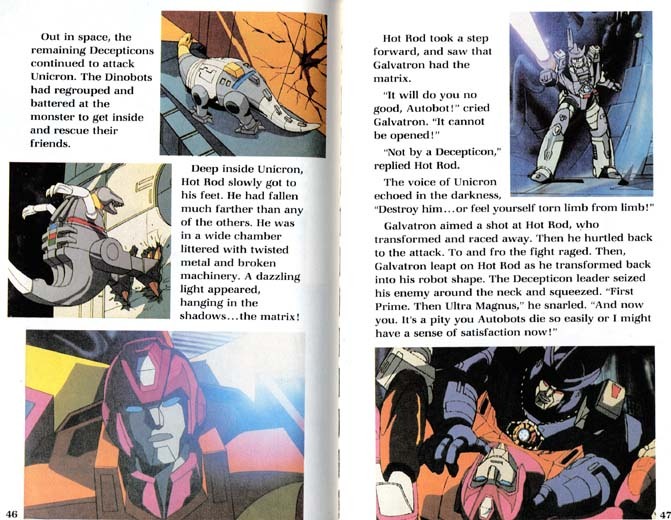 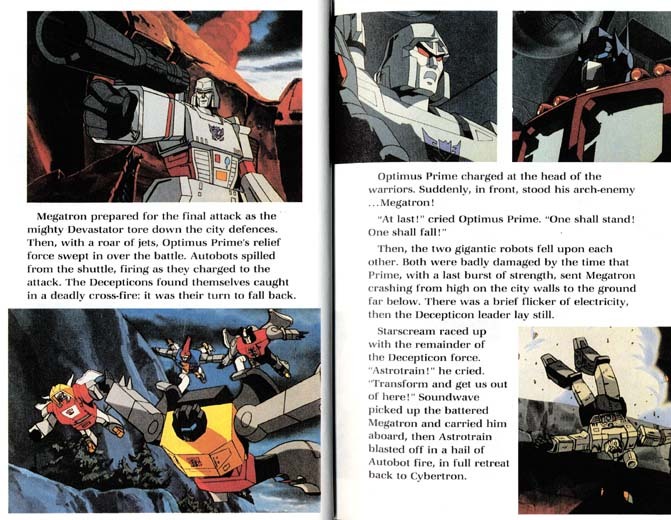 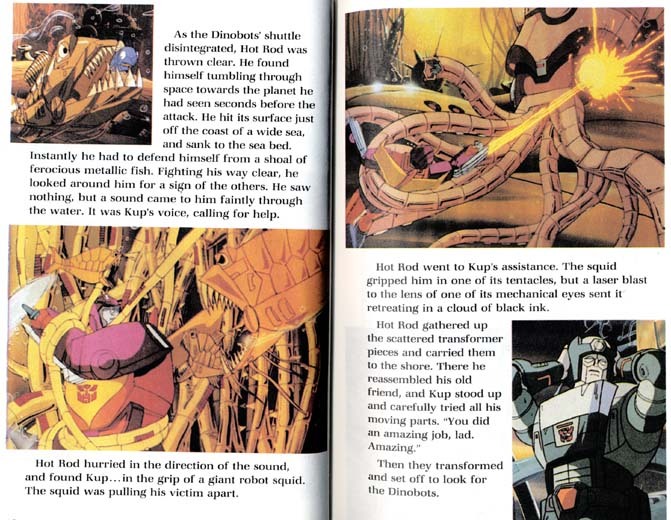 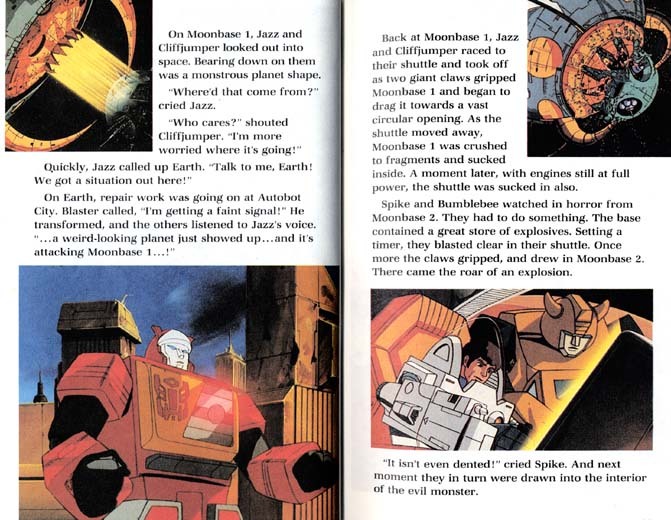 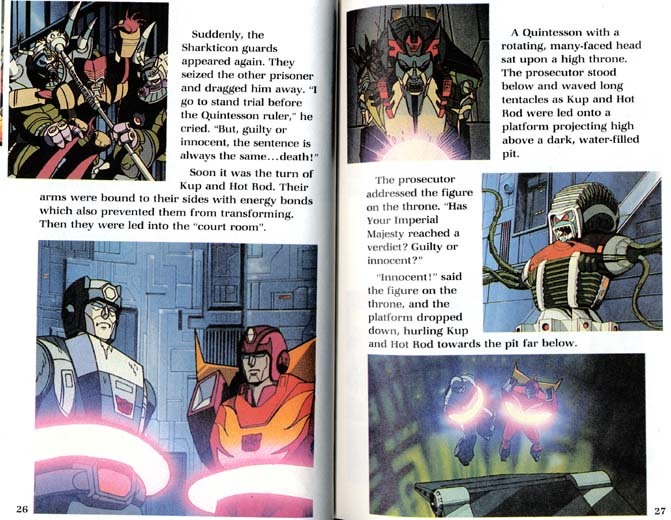 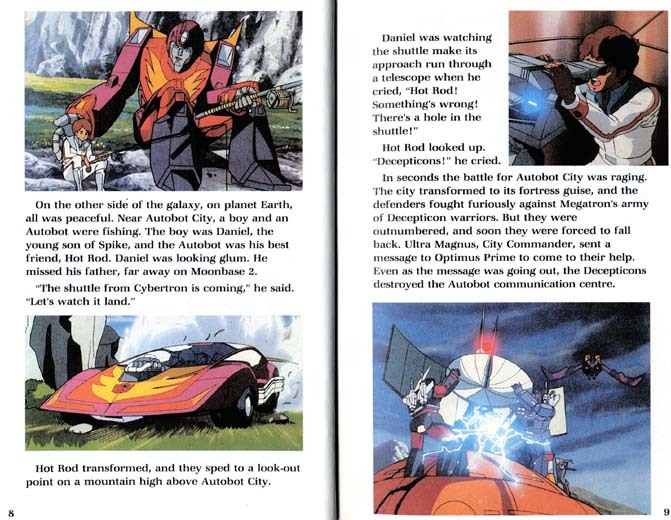 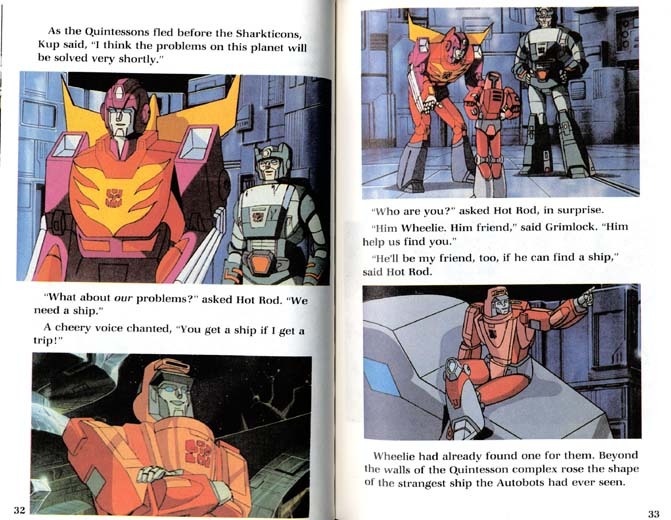 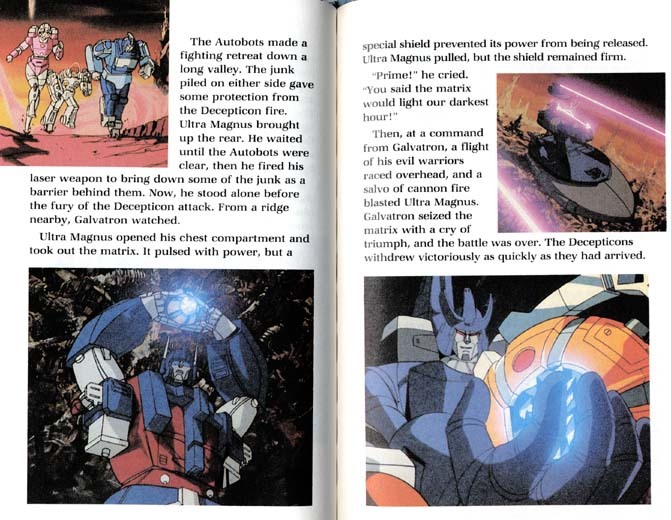 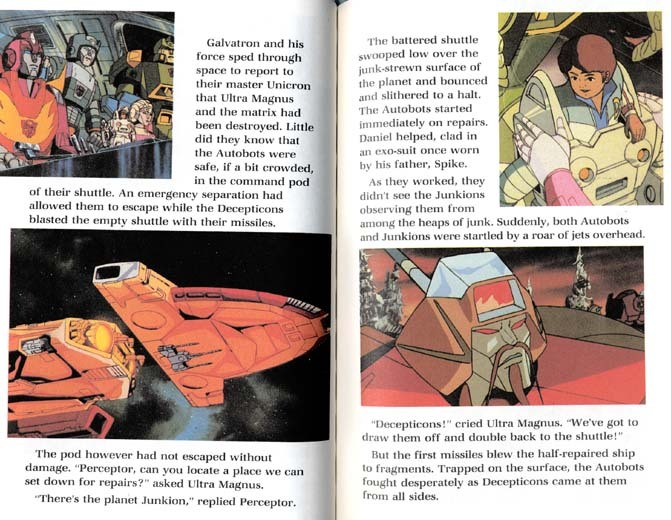 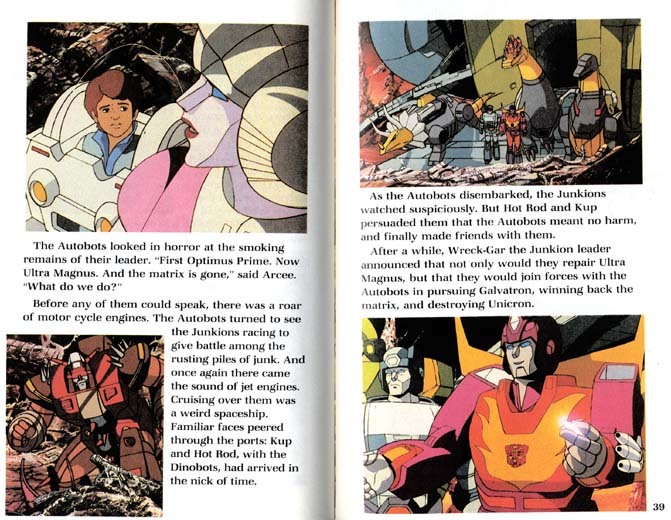 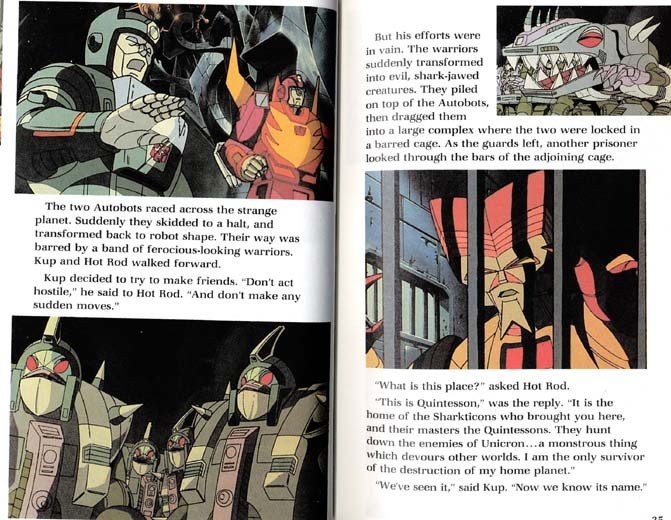 Hot Rod does not interfere with Prime and Megatron's mortal conflict, and Megatron kills Optimus by just shooting him with that laser gun he finds on the ground. 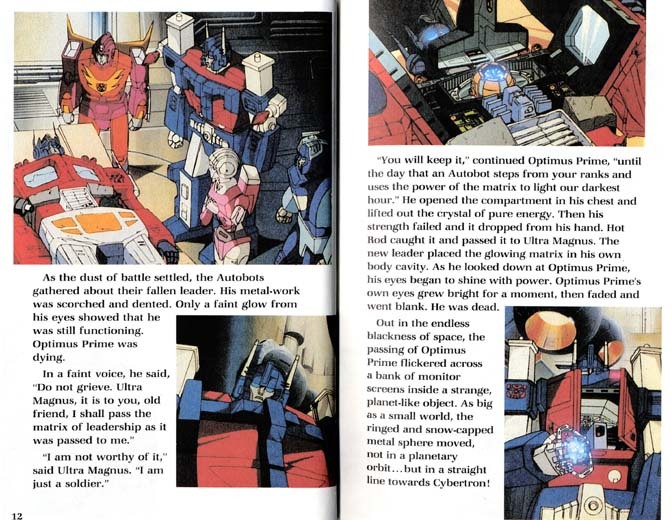 Prime's last words are: "Follow him, Autobots... 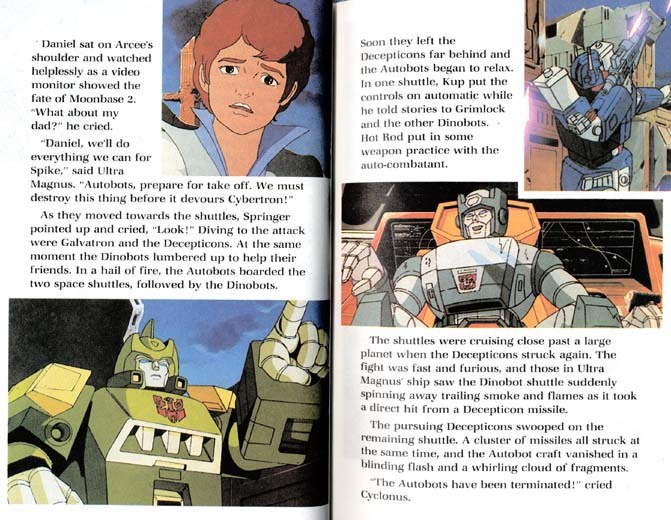 Follow him..." instead of "'Til all are one." 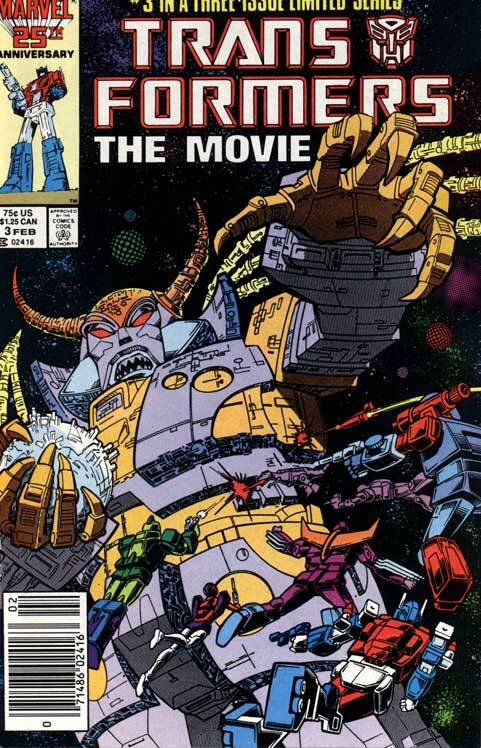 Much of the discrepancies are due to the fact that the comic was based on the original script and not the final cut of the movie. 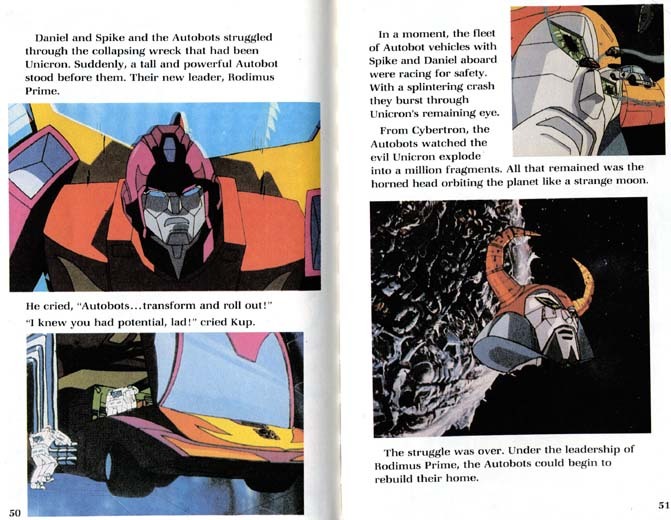 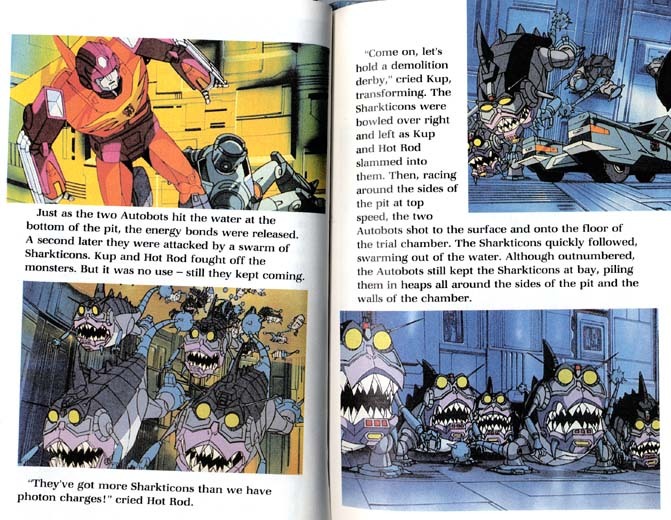 Plenty of events that happen in the movie are omitted from the comic adaptation, and the artwork is nothing special either. 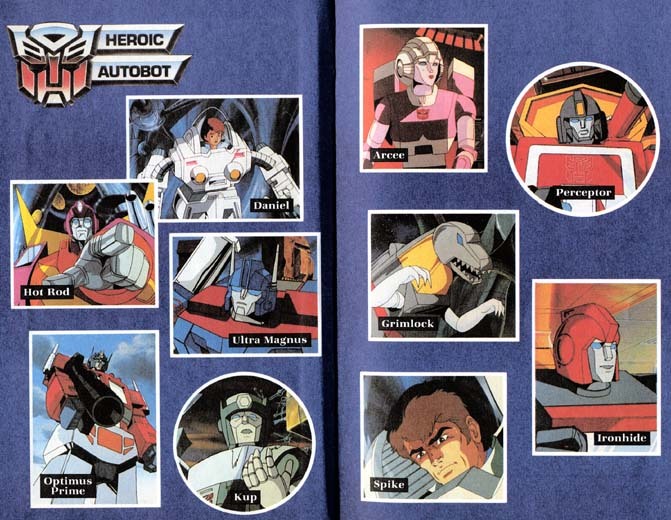 You're not missing much if you haven't seen them. 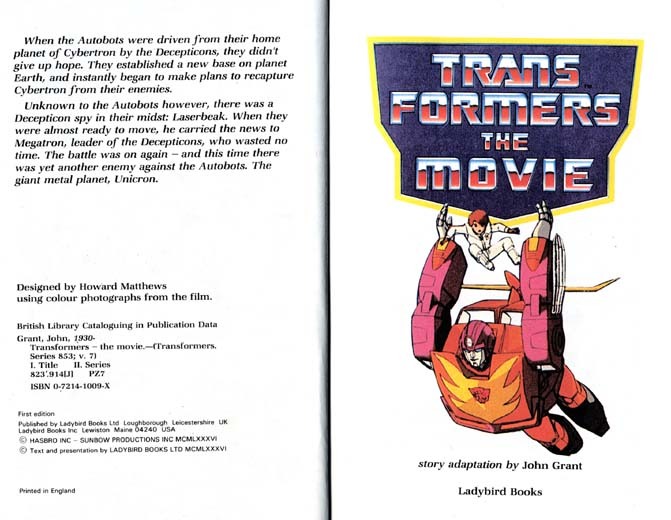 This small hardcover book was released in the U.K. by Ladybird Books, and each full-color page contains high quality stills from the movie (from actual film photographs and not just video screen grabs). 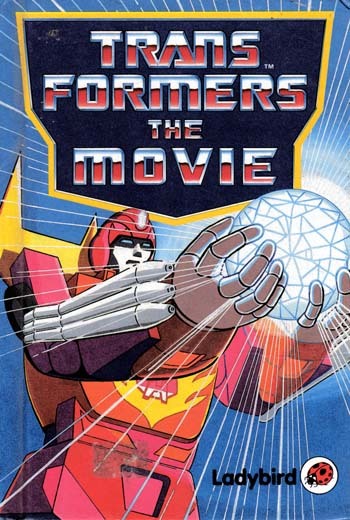 The text was written by John Grant, and the cover art by Howard Matthews shows Hot Rod holding what we have to assume is supposed to be the Matrix of Leadership, though it looks just like a glowing crystal ball. 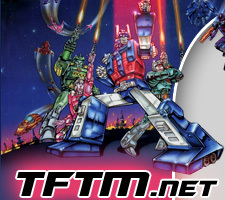 DISCLAIMER: TFTM.NET is not run by, owned by or licensed by Hasbro Inc., Sunbow Productions, Paramount Pictures, Dreamworks Pictures, Takara/Tomy Ltd. or any of their licensees or subsidiaries. 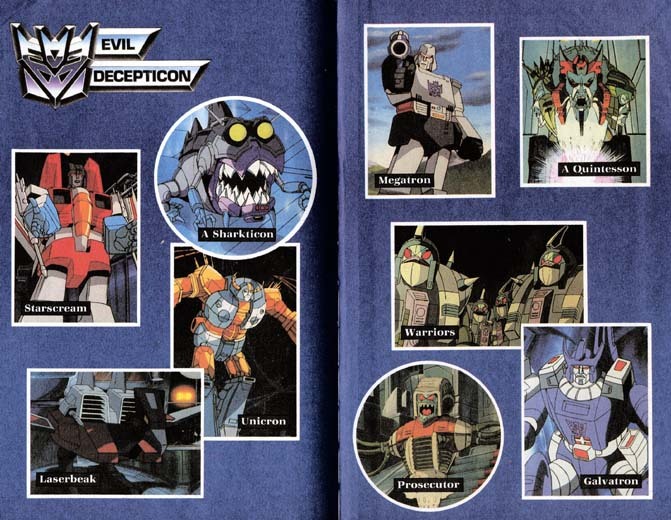 This site has been established by fans of these licenses for informational and entertainment purposes only. 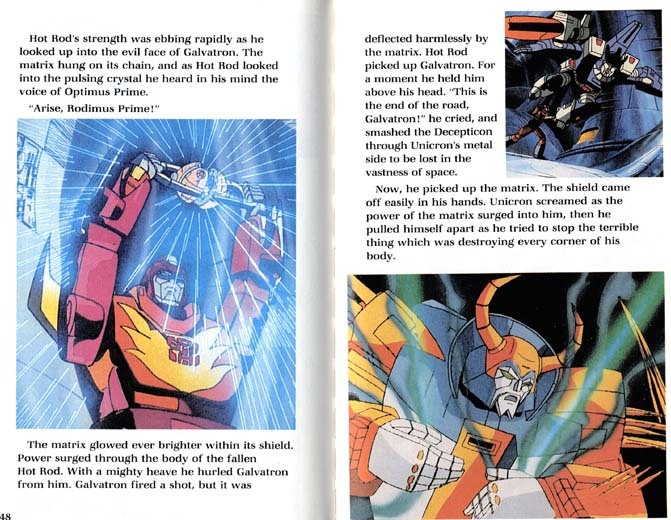 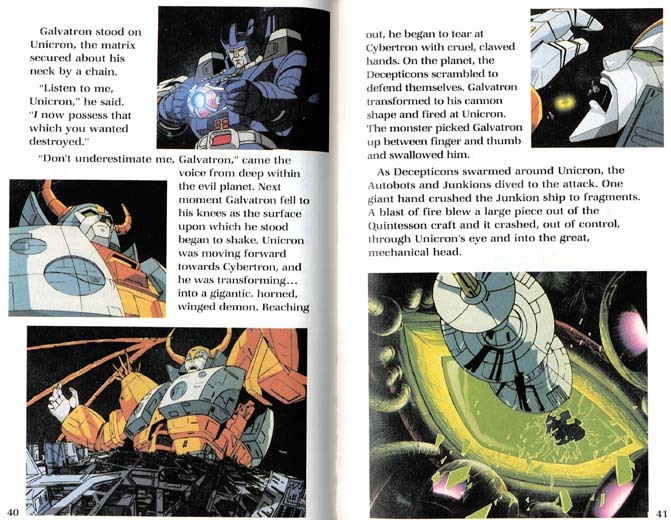 Transformers, Beast Wars, Autobots, Decepticons, and other Transformers related titles are copyrights and trademarks of their respective owners, and used here out of respect for these properties.